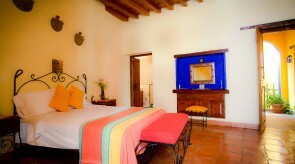 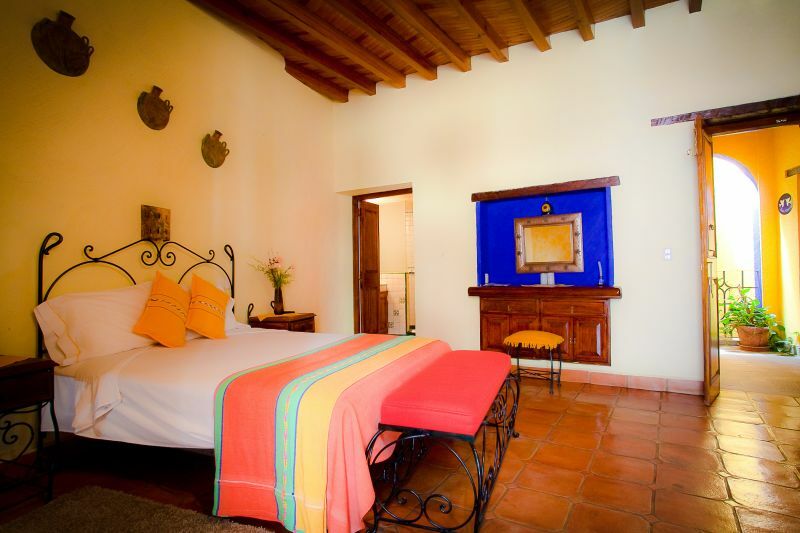 This room features a queen-size bed, dressing table, clay tile floor and wood-beam ceiling. 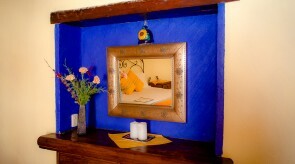 Bath with shower, featuring handmade Talavera tiling. 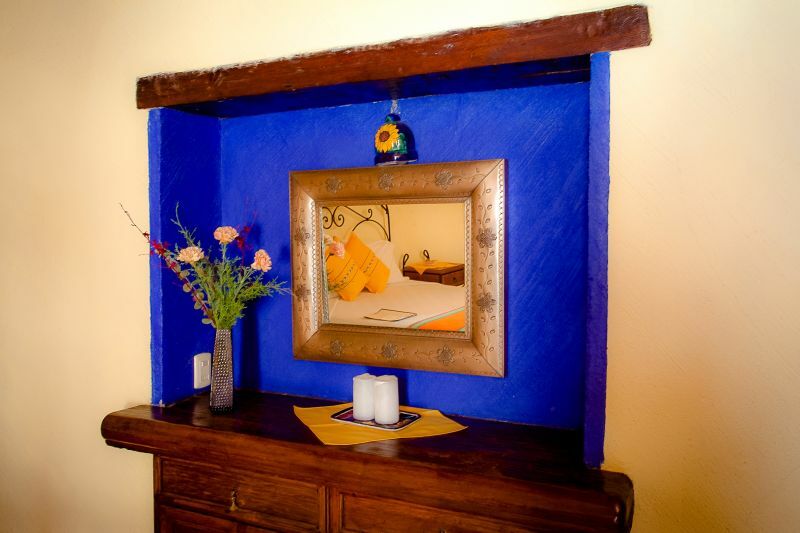 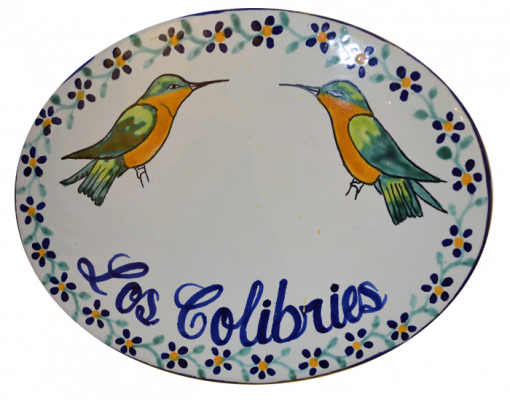 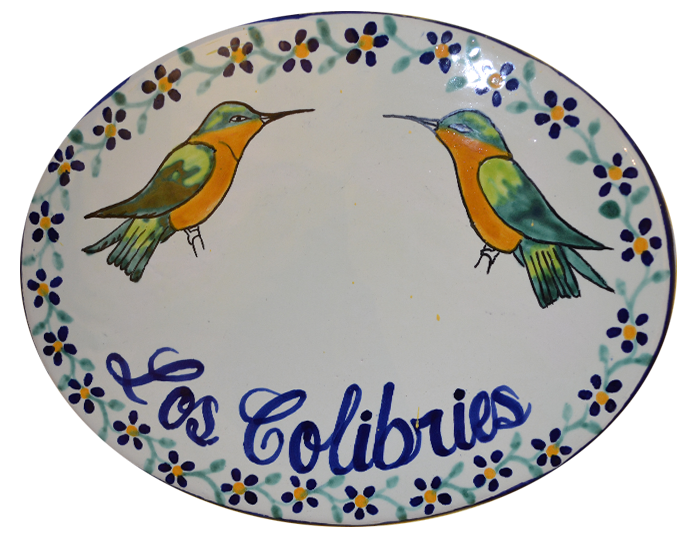 Room features a balcony over Callejón de Galarza, from which you can sit back and enjoy nighttime Guanajuato.